Over the last few years, there has been a surge in the promotion of long-acting reversible contraceptives (LARCs) such as intrauterine devices (IUDs) and implants like Nexplanon. LARCs are highly effective in preventing pregnancy, last for an extended period of time, and work without user action once they are inserted. 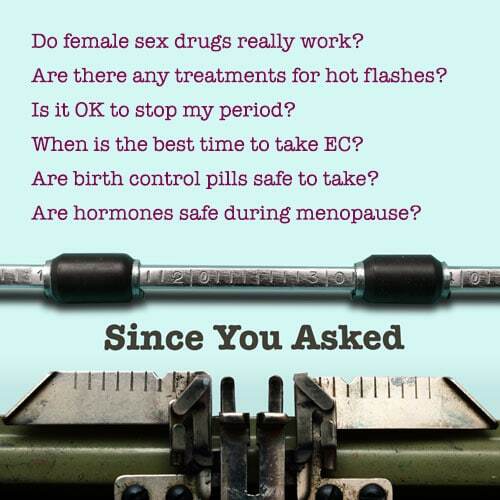 These characteristics make them a valuable addition to the mix of contraceptive options. Sharing the concerns of many women of color-led groups whose members experienced forced sterilization, the nascent NWHN testified on behalf of Federal protections against sterilization abuse. But, these efforts put it at odds with many allies in the broader women’s movement, like the National Organization for Women (NOW), whose members were more likely to have sought sterilization and been denied it than to have been targeted for forcible sterilization. Just as it was then, so too today women across the socio-economic spectrum face discrimination in their reproductive care, and those practices still vary greatly based on a woman’s race, income, status, and more. And once again, the NWHN seeks a path forward that acknowledges the lived experiences of women who aren’t always heard in public health debates. This year we joined with SisterSong: National Women of Color Reproductive Justice Collective to craft a Statement of Principles to guide clinicians, professional associations, service providers, public health agencies, private funders, and others in the provision of LARCs. We believe that women — all women — can and do make good decisions about their own care when they have accurate information and systems that foster real choice. Our guiding principles are that we strongly support the inclusion of LARCs as part of a well-balanced mix of options, but we reject efforts to direct women toward any particular method. Only affordable coverage of all options — and a comprehensive, medically accurate, and culturally competent discussion of them — will ensure treatment of the whole human being and truly meet the health and life needs of every woman. These principles have been signed by a large number of leading public health experts and reproductive health, rights and justice organizations. But our goal is far bigger: we seek to fundamentally change the conversation. 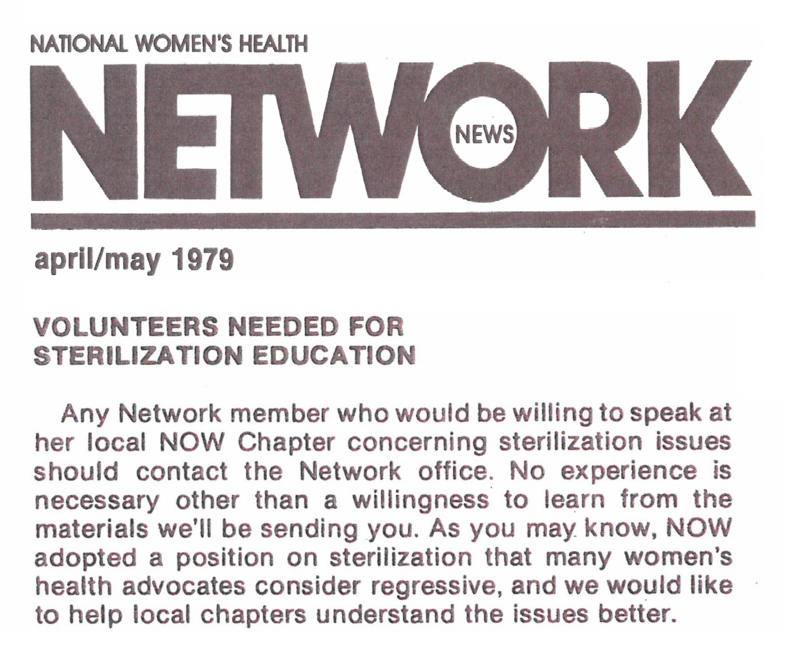 In 1979, we asked our members to speak to your local NOW chapter about sterilization abuse. Today, we ask you to help us share the message from legislators in Congress and at state capitals to doctor’s offices and family planning clinics. The statement can be found at www.tinyurl.com/LARCprinciples. Together we can ensure that every woman has access to the full range of contraceptive methods and the freedom to choose the one that works best for her. 2. Benson Gold R, “Guarding Against Coercion While Ensuring Access: A Delicate Balance,” Guttmacher Institute, September 2, 2014. 3. Rodriguez-Trias H, “Puerto Rico, Where Sterilization of Women Became ‘La Operación,'” Political Environments #1, Spring 1994.